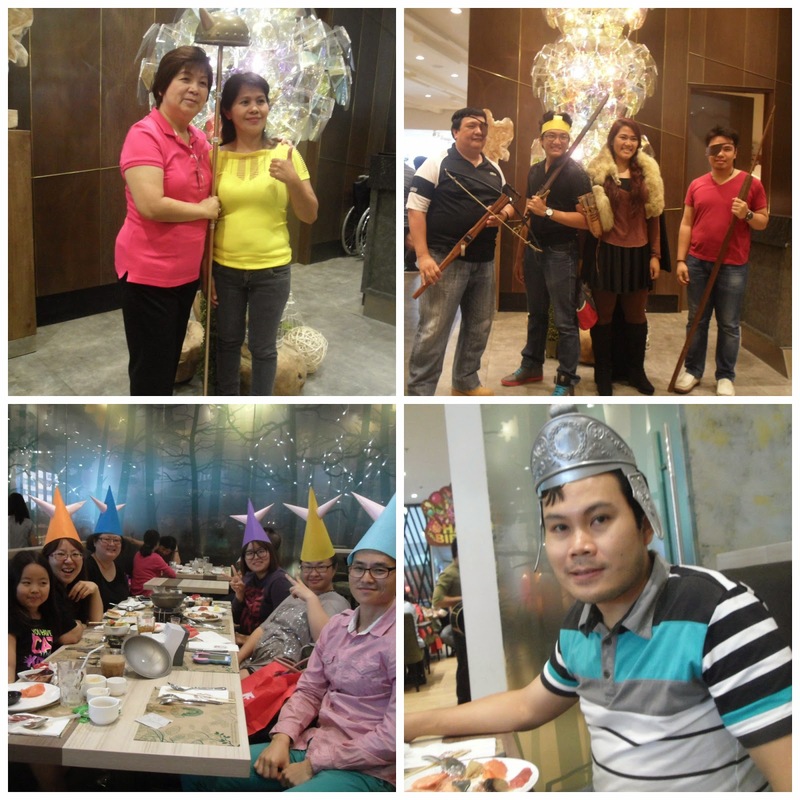 I've been a fan of Vikings Buffet ever since they opened their first restaurant near Mall of Asia. The restaurant doesn't really have crazy lines back then but the food has been consistently good. So when I got an email invitation from Vikings SM BF to try out their newly opened branch down south, I didn't think twice about it. So here's my first #eatlikeaviking plate: callos, baked oyster, pizza, and cheese. 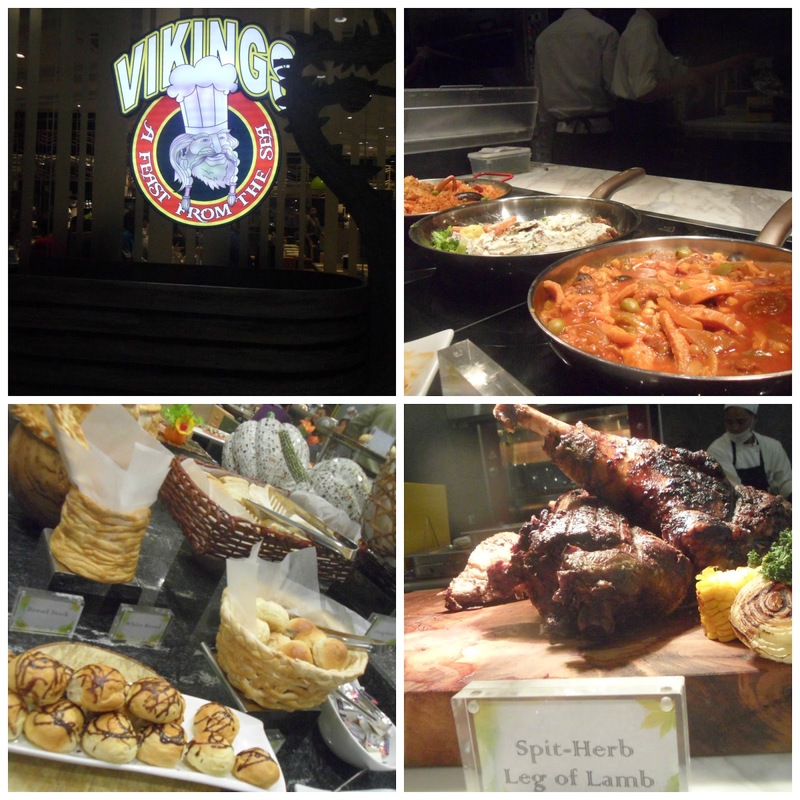 For newbies, Vikings is a buffet restaurant that is at par with the buffet in hotels but at a more affordable price. The selections may not be as extensive as that in a hotel though but you are assured that all of your favorites are here. 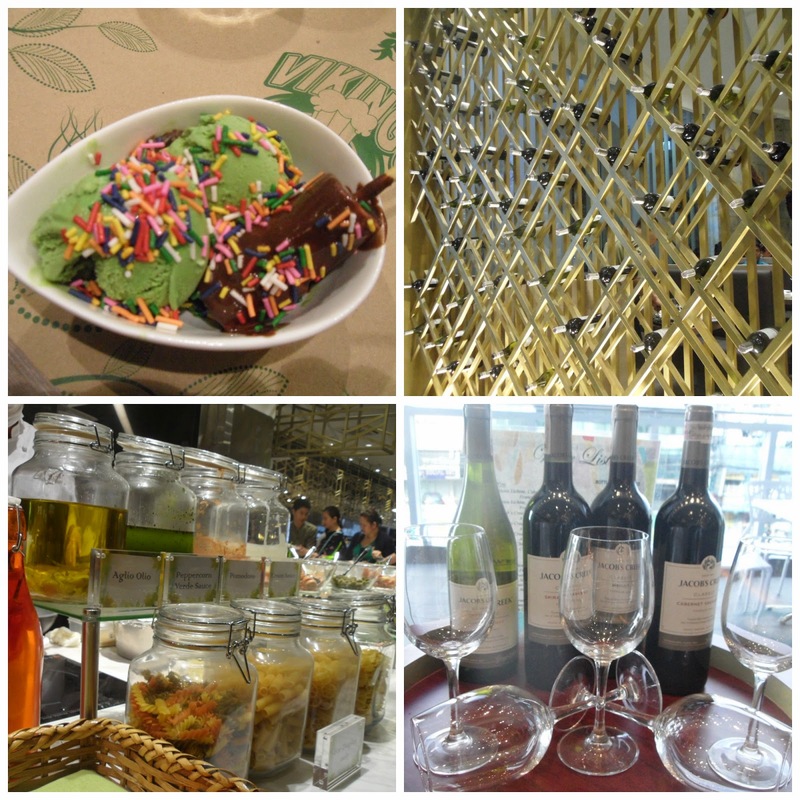 The ambiance is also great and the best part is, you get to feast on gourmet dishes prepared by the best chefs. There's a carving station and it has lamb (yum! ), roast beef, belly-chon, turkey and chicken. Having lamb and beef as part of a buffet is already a winner in my book. And turkey-- hmmmmm ... this is love especially with mint jelly which is among the sauces selections. Thumbs up! 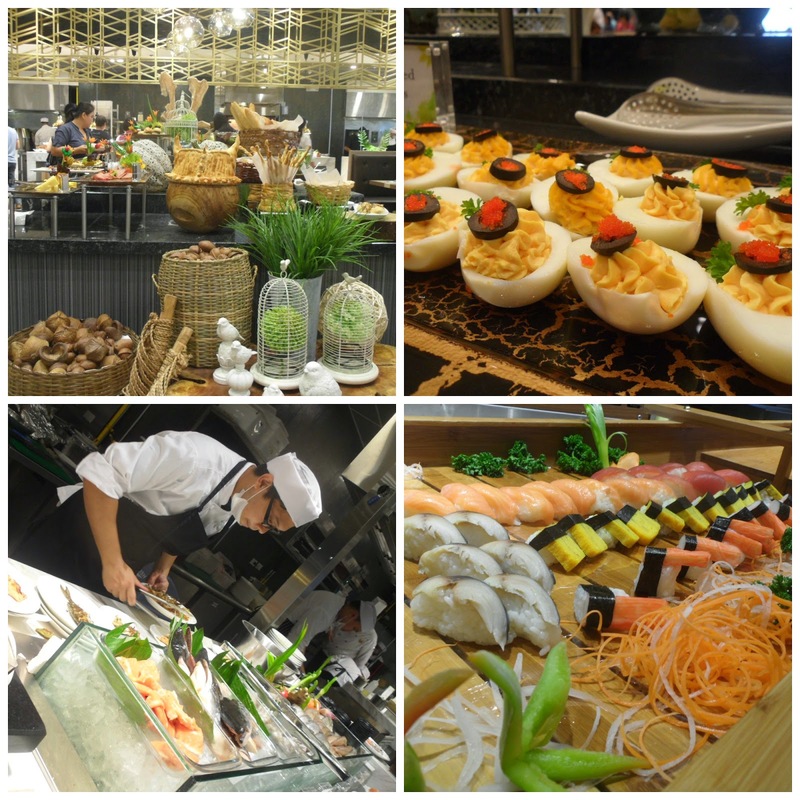 Of course there's also the bread, salad, and appetizer station, and the Japanese (sushi and sashimi) station which is quite popular with diners. The beef carpaccio is one of the memorable ones that I've tried at Vikings SM BF. These are thin (paper-like) slices of beef that melts in your mouth. And if you're fond of noodles or hotpot, you can choose what you want in your bowl or simple ask the chef to choose for you. 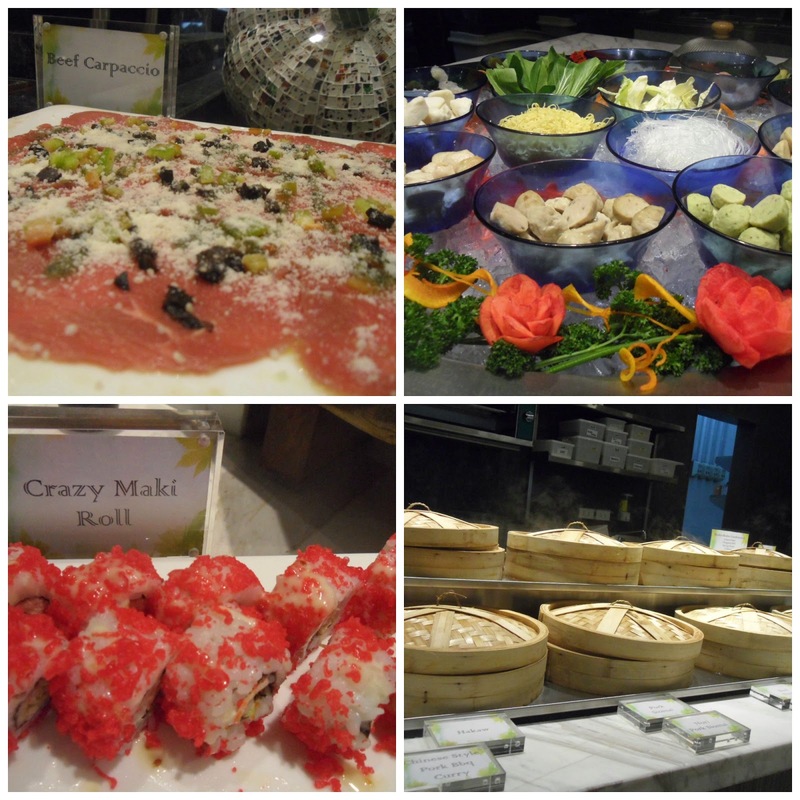 Lovers of dimsum will also enjoy the hakaw, siomai, etc. The crazy maki roll on the photo almost made me break my oath not to eat rice- hahaha. It looks so deliciously inviting. I'm pretty sure it taste great. There's also the pasta/pizza station, grilling station (meat and fish), and there's paella and callos, and some Korean dishes. Yummy! And what's a buffet without dessert? The cakes, and ice-cream (about 10 flavors if I'm not mistaken) are simple the best. Burp! There's also the chocolate fountain and candies. 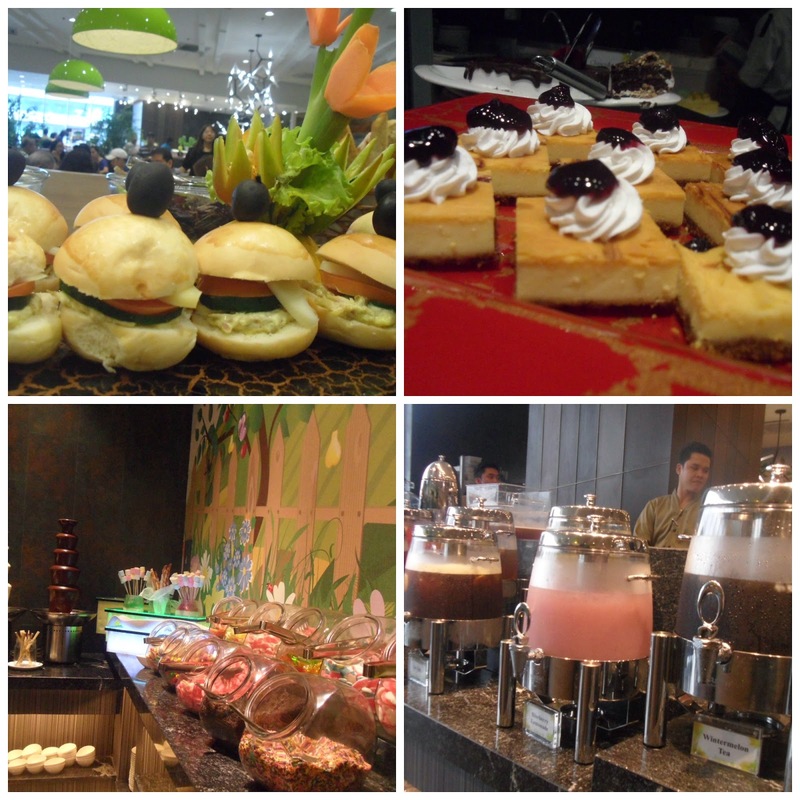 The drinks (iced tea, juice) are also included in the buffet. I particularly liked the lemon grass iced tea while the waiter was prodding me to try the wintermelon iced tea. 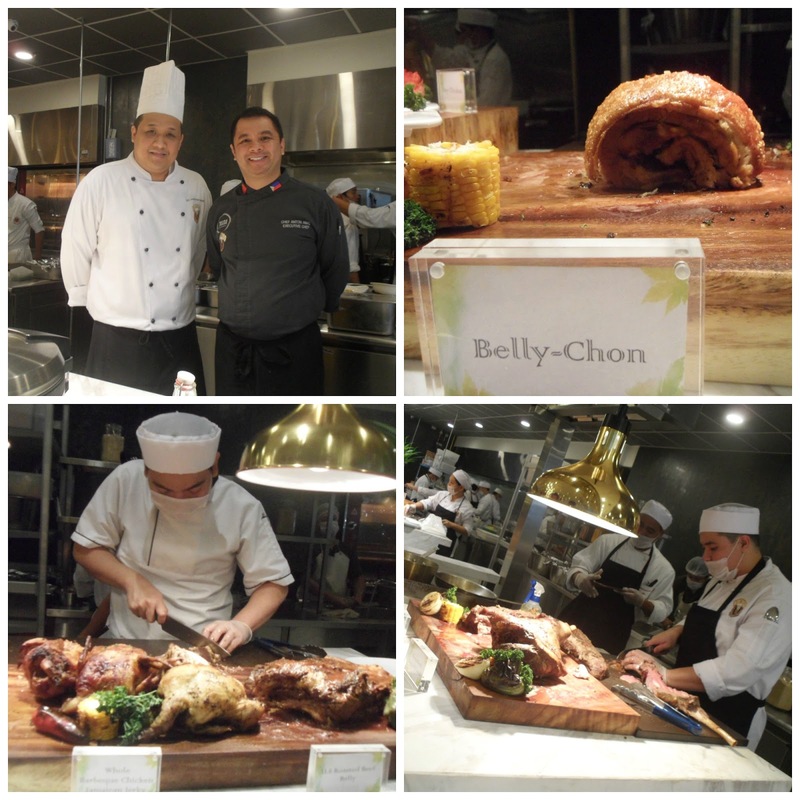 Here are Chef Anton Abad's chef recommendations: Chicken Terriyaki with Kani-Mango Salad (top left photo). The chicken is served on a lightly-grilled seaweed. The smokey flavor of the seaweed compliments the chicken terriyaki well and the sweet kani-salad adds a new burst of flavor. Beef Bulgogi (lower right photo). Its not your usual beef bulgogi. Aside from the kimchi, it has arugula instead of lettuce, and lies on top of a poached green apple. I'm glad that the kimchi is not that spicy and the tartness of the apple made the taste more appealing. Love it! There's my bowl of green tea ice-cream. I just love Vikings green tea ice-cream that I had two bowls. Oh my! And if you are a wine enthusiast or simply celebrating a milestone, there restaurant also some some wine offerings. Its not included in the buffet but it is reasonably priced as well. 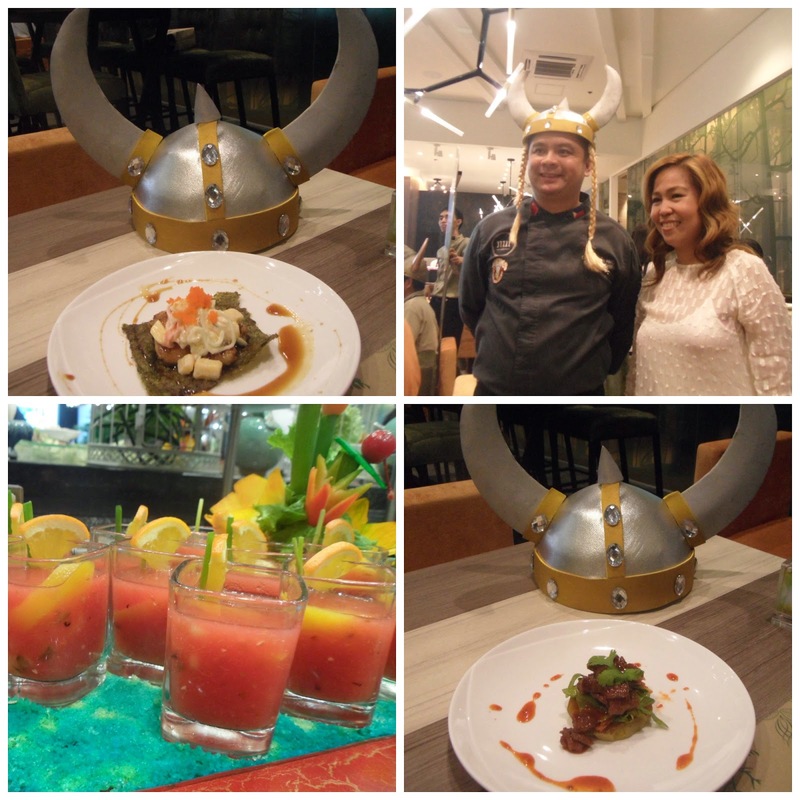 And because Vikings SM BF recently opened, those who came in viking costume on the first few days gets 50% off on their bill. How cool is that?